"Bestselling author Katie McGarry’s trademark wrong-side-of-the-tracks romance is given a new twist in the gritty YA contemporary novel, Only a Breath Apart. Each midnight meeting pushes Jesse and Scarlett to confront their secrets and their feelings for each other. But as love blooms, the curse rears its ugly head…"
I always love Katie McGarry, so I'm really excited for this one. 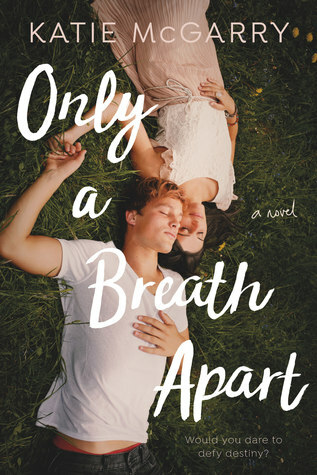 Only A Breath Apart will be released on January 22, 2019. Seeing a lot of buzz for this one lately! Hope you will enjoy it too! I love all her books so I'm sure this will be a great one too!